Just because you’re a grown up now, doesn’t mean your holidays have to be. Unleash your childish side on holiday! Crazy about cartoons? Can’t get enough sweets? Or do you still dream of growing up to be a prince or princess? We’ve got 10 fun-filled holiday ideas that any child would go mad for – but they’re made even better because these are for adults – and no-one is going to tell you the fun’s got to stop. First let's deal with the elephant in the room (Hi Dumbo!) - there's this place called Orlando, and big kids want to go there just as much as the little ones. If you're after a holiday that's nothing but fun, this is the number one bleedingly-obvious choice. Harry Potter, Disney princesses, exotic animals, rollercoasters and superheroes; they're all here. You don't even need to plead with mum for two years first. There are some outstanding arcades around the world, but in Tokyo's Akihabara district you'll find one on every street corner. After all this neighbourhood is famous for being the centre of everything electronic and anime. 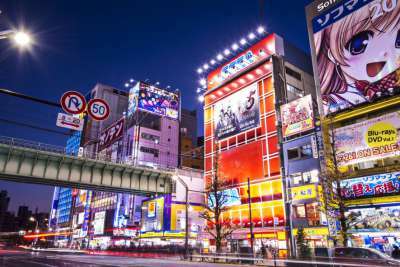 Some highlights for you to check out while you're in Tokyo include part arcade, part theme park Joypolis, vast Taito and retro gaming store Super Potato. 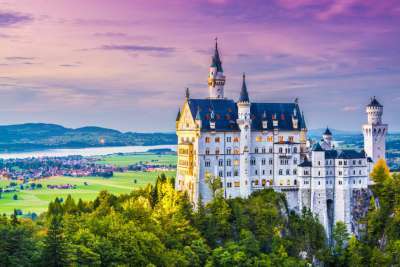 If you see yourself at the centre of your own fairytale, Neuschwanstein Castle in Bavaria is the place to go to live it out. It's famously the inspiration for Disney's Sleeping Beauty Castle, but the interiors are far fancier than their cartoon counterparts. You can also visit nearby Hohenschwangau castle, and you'll see plenty of gingerbread-house Alpine architecture on the journey from Munich. While Loro Parque in Tenerife started out as a bird park, today it's home to a vast variety of animals, from chimps to tigers and whales. 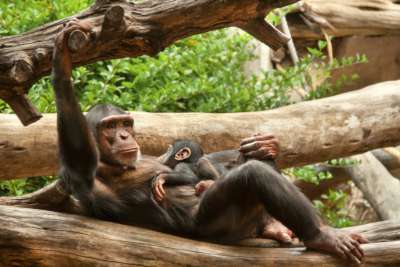 And as of 2015 it was voted Europe's best zoo in the TripAdvisor Travellers' Choice Awards (coming 2nd in the world overall). Go to wander and wonder at the marine life in the 1,200,000-litre aquarium, meet energetic sea lions and explore the tropical Macaws’ Aviary. Berlin is full of quirky corners, but you still may not expect to find a massive adult-size climbing frame built out of recycled materials. It's called Mount Mitte, and is located within the trendy urban beach area, BeachMitte. 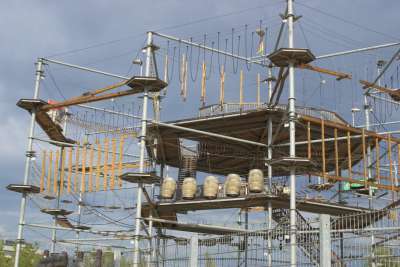 Children are allowed to join in the climbing fun, but they won't be able to enjoy the added bonus of a cold beer afterwards from the snack bar below. 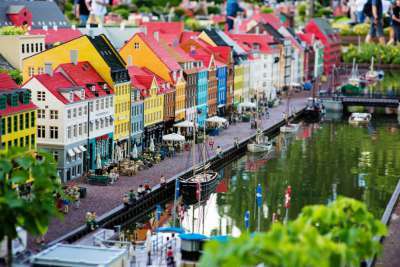 This kids classic has plenty of adult fans, and if you count yourself among them it's only proper that you should make the pilgrimage to Billund in Denmark. That's where the LEGO factory is, and the original LEGOLAND theme park. It's a mix of thrilling LEGO themed rides and extraordinary LEGO creations, including the charming Mini Land and the world's largest LEGO sculpture: Luke Skywalker's LEGO X-wing Starfighter. Got a sweet tooth that can't be sated? You're going to have a great time exploring Hershey's Chocolate World, located in... Hershey! Apparently it's "The Sweetest Place on Earth". In addition to tours and tastings in the Hershey's factory, you can make your own chocolate bar and hug one of the giant Hershey's Kisses - but no licking! 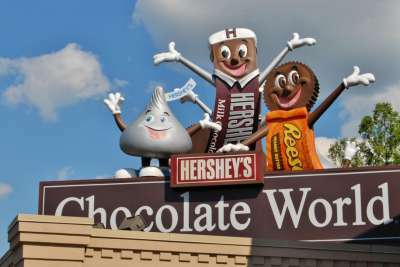 Hershey is located in Pennsylvania, about two hours from Philadelphia. Despite being mostly desert, Dubai does rather well at waterparks. 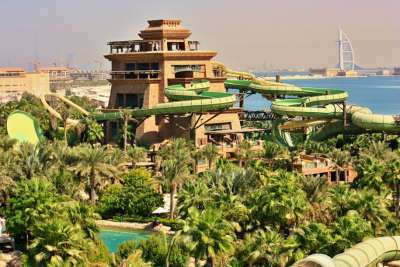 There are two options you need to check out: Aquaventure on the Palm Jumeirah has a slide through a shark-filled lagoon, and a near-vertical drop on the Leap of Faith. While the Wild Wadi waterpark has the Jumeirah Sceirah which reaches speeds of up to 80 kilometres per hour. But the absolute best thing about waterparks in Dubai? Guaranteed sun - you'll dry off in no time. 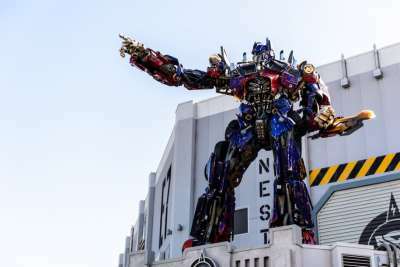 The UK's theme parks hold their own, but if you'd like a bit of sunshine to accompany your corkscrew loops and stomach-plummeting drops then you should hop on the plane to Spain! Portaventura is just a short drive from the beach town of Salou on the Costa Dorada. 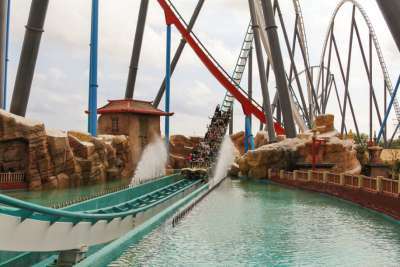 The park is themed to world regions - head to Mediterrània for Furius Baco - the fastest rollercoaster in Europe, or make a big splash with the water rides in Polynesia. 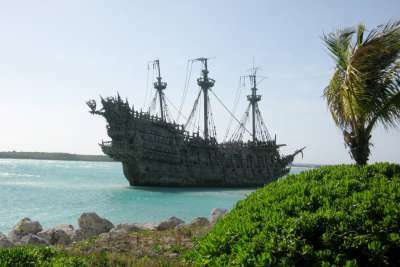 Your grown-up side will bliss out on the beaches of the Bahamas, but while you're there you can immerse yourself in the world of the real-life pirates of the Caribbean with a visit to the interactive Pirates of Nassau Museum. There's actors and a replica of Blackbeard's ship - as well as a collection of bottles and coins, thought to be remnants of pirate swag.